Business and HR leaders are coming to terms with the fact that old rules no longer apply in managing talent. 2018 continued to be a year of digital disruption and changing business models. Business and HR leaders are coming to terms with the fact that old rules no longer apply in managing talent. A dynamic business environment and a shortage of critical talent are compelling employers to relook at their entire employee experience cycle. Employers are now acknowledging that the annual performance management process is not so effective for both the supervisors and their subordinates. Besides, the traditional appraisal focuses on the feedback of what could have been done and the annual snapshot may not necessarily be accurate. It lacks real-time opportunities to provide coachable and improvement opportunities for employees. Also, if performance takes a sharp drop or increase, an annual review does not provide useful information about why it went down and when it went down—and what can be done to fix it? Recent trends indicate that most organizations are looking at adopting a performance management process that is simpler and increasingly tied to business challenges in a dynamic way. Are performance ratings going away? The questioning of the efficacy of performance management over the last 4-5 years in the mature markets has spilled over to Southeast Asia as well. Forced rankings or distributions have generally fallen out of favor, and appropriately so. High performing teams should not be forced to rank some fixed percentage of their employees below average, to meet the desired distribution. Will more and more organizations discard performance ratings? Only a small number of organizations have given up ratings or even plan to. However, organizations will question how they appraise their employees, asking questions such as—Should we rank employees? If it is a zero-sum game, how do we encourage collaboration? How do we encourage risk-taking and experimentation in goal setting when employees know that they will receive a negative rating if they fail? How do we build flexibility into the system yet ensuring standards and quality? More frequent, brief check-ins are becoming common in the new paradigm and this is a can’t-lose approach, assuming there is an improvement in the quality of manager feedback skills and tools. Whether these check-ins are tech-enabled, or simply a monthly check-in on a calendar, employees will need timely and constructive feedback, and managers themselves will benefit from increased group performance. This regular feedback will help in identifying training gaps and other opportunities early enough to enable achieving of organizational goals. Also, technology is rapidly evolving in this space. Mobile-first solutions are on the cusp of cutting the costs of performance management. This will lead to more time savings for supervisors and mitigate human biases in performance appraisal for employees. Technology will enable supervisors to build an end-to-end goal setting, feedback, rewards, and development structure tailored to each employee. As a result, organizations will leverage tech-enabled performance management as a competitive advantage for their organization. The future-forward is for organizations to keep their performance management process simple and dynamic. Organizations realize the need to stop cramming too many routine goals into an employee’s individual plan. A large number of competing goals or a complicated schedule of successive reviews or calibration may not provide reasonable ROI. Forward-thinking organizations are applying the agile principle of test and fail, reflect and learn, and pivot to what works for them. Southeast Asia is diverse in terms of not only culture but the stage of economic development. In the more frontier economies such as Myanmar, companies are just getting into performance planning, goal setting or KPIs, and performance appraisal. Developing economies such as Indonesia, which are used to driving results with goals or KPIs, are recognizing that they should pay attention also on the softer behavioral aspects (such as values and culture) since not everything that is important can be measured by a KPI. 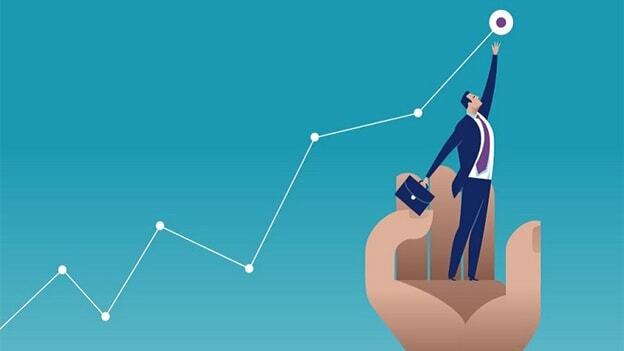 The more mature economies such as Singapore are looking at how to refine the performance management process to be more continuous and frequent, more feeding forward for development, using performance management to drive high performance, and deploying technology to enhance the user experience, especially the millennials. Overall, with the increase in market volatility expected in 2019, the performance management process will be more dynamic and robust to address sudden changes or mid-course correction, balancing experimentation and risk mitigation. The quality of the interaction between the manager and the employee will become a key lever in the fast-changing world of work in this part of the world. Na Boon Chong is the Managing Director and Partner – Talent, Rewards, and Performance, Aon Singapore.